The E-M1 Mark II, with an announced price of $1,999, features across-the-board improvements from its successful predecessor, including exceptional autofocus, subject tracking, and video capabilities. When it comes to image quality and continuous shooting, the Olympus EM1 Mark II is in a class of its own. It includes a newly designed 20.4 MP Live MOS sensor and TruePic VIII Dual Quad Core Processor, which allow for burst rates of 60 fps in Single AF and an unmatched 18 fps with C-AF. It also features a "Pro Capture" mode, which eliminates any lag while shooting. These attributes make the EM1 a top choice for photographers looking to catch fast-moving subjects without sacrificing detail. Users can expect superb image quality as well thanks to the camera's elite flare-reducing sensor and new 50 MP High Res Shot Mode, which combines eight shots to generate a single ultra-high res image. For video production, the EM-1 shoots in 4K (3840x2160) and C4K (4096x2160) with a max bit rate of up to 237 Mbps. It also includes 5-axis in-body stabilization which provides up to 5.5 shutter speed steps of compensation for blur-free handheld shooting. These details make the EM-1 a top-choice for videographers as well as photographers. Olympus also considered portability when creating the EM1. Its compact, lightweight design allows for easy packing and traveling. Furthermore, the metal body is sealed to be splashproof, dustproof, and freezeproof down to 14°F (-10°C). 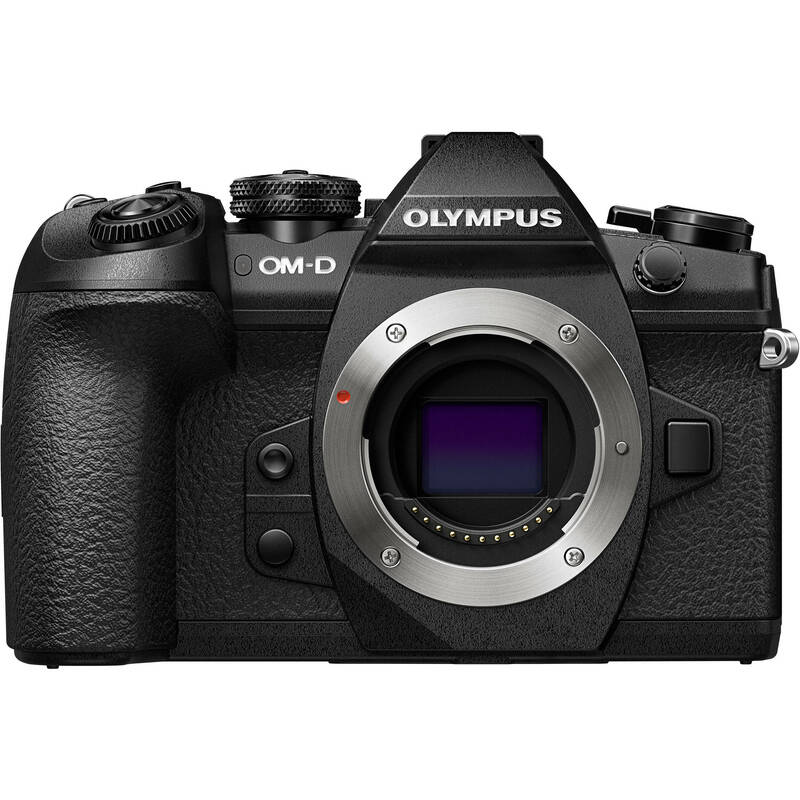 The Olympus E-M1 Mark II camera boasts other advanced imaging tools like Silent Shutter Mode, Live Composite Mode, and Live Bulb Mode. Silent Shutter Mode completely eliminates shutter noise and electronic sounds, allowing the photographer to successfully shoot wildlife and other quiet environments. Live Composite and Live Bulb Modes are ideal for nighttime shooting, as the image builds up on the monitor and allows the user to continually adjust the exposure. For macro shots, Focus Bracketing and Stacking lets the photographer take multiple photos of a subject and stack them into a single image for incredible clarity. With so many stand-out features and versatility, it will not take long for photographers to realize the incredible potential of the OM-D E-M1 Mark II, which is now available at B&H Photo along with all the necessary accessories. 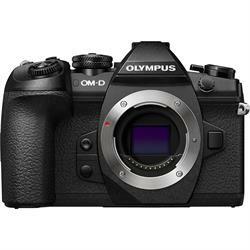 B&H Photo Video is an authorized Olympus dealer, with the most up-to-date Olympus product information, product pricing and promotional offers. The B&H YouTube Channel has an unmatched wealth of educational photographic content. Our entertaining and informative videos feature product overviews from our in-house specialists, as well as photography industry experts. You can even view the B&H Event Space presentations from many of the world's foremost photographers and interviews with some of photography's most dynamic characters. Tap into this exciting resource by subscribing to the B&H YouTube Channel here. In addition to these videos, the B&H Explora blog presents new product announcements, gear reviews, helpful guides, and tech news written by product experts and industry professionals. When you're in Manhattan, take a tour of the B&H Photo SuperStore, located at 420 Ninth Avenue. The expo continues all year round in the camera kiosks at B&H. Featuring the newest cameras, the kiosks are manned by manufacturer representatives, who are there to guide you and demonstrate the latest photographic technology. With hundreds of products on display, the B&H Photo SuperStore is the place to test-drive and compare all the latest photography gear. An advanced system of innovative technology and features designed to forever change your photography. Up to 18 frames per second sequential shooting with precision C-AF Tracking. The OM-D E-M1 Mark II, an advanced system of innovative technology and features designed to forever change your photography. Up to 18 frames per second sequential shooting with precision C-AF Tracking. 121 Cross-Type On-Chip Phase Detection AF points. 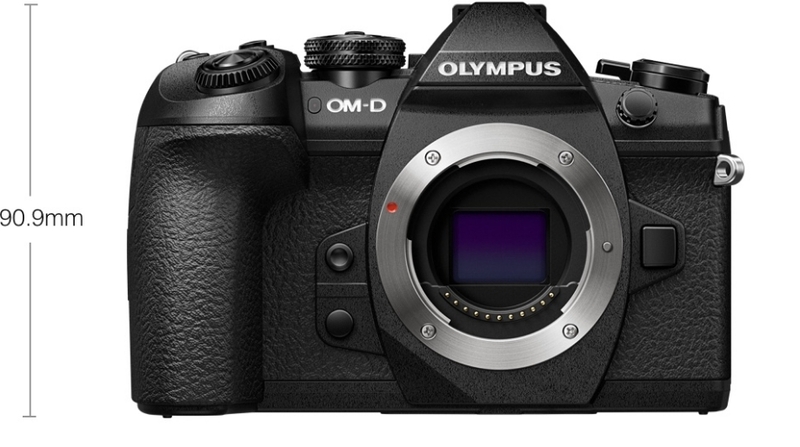 Introducing the OM-D E-M1 Mark II, an advanced camera system of innovative technology and features.